Pigment Dyes offered allows for optimum colourant and optical brightener support so as to perfectly match up with the demands of the customers. 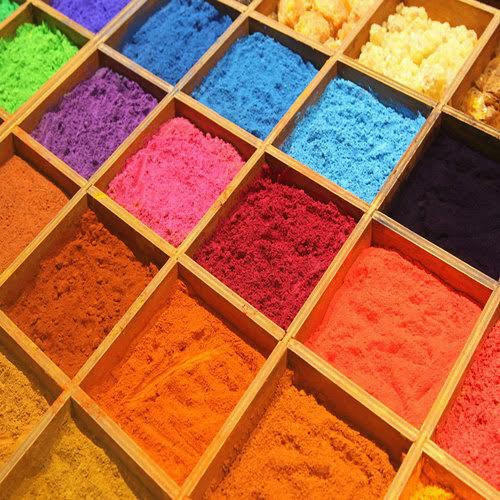 Finding use in the production of ready-to-process compounds and colour concentrates, these pigment dyes can be made available by us in different form choices like in paste, powder blend or granulated forms. Excellent heat resistance and others. Established in the year 1982, at Mumbai, Maharashtra, India, we “Navin Chemicals,” are among the leading manufacturing, supplying and exporting of Industrial Dyes and Chemicals. Our export operations are exclusively handled by our in-house - company “EKTA INTERNATIONAL” with established contacts in far east including Singapore, People's Republic of China, Hong Kong, Taiwan, Japan, Thailand, South Korea, Indonesia and Pakistan. Other than this, the company also handles importing, exporting and indenting operations of end clients as well as trading houses. With the group led by experienced management, we are successfully catering to the demands of industries like textile, rubber, leather, bulk drug, drug intermediates, paints, dyes & dyes intermediates, engineering and other sectors with whom our group enjoys excellent rapport. With business operations spread over areas of Mumbai, Ahmadabad, Baroda, Vapi, and Cochin, the milestone achieved is due to dedicated support of young enthusiastic entrepreneurs, Late Rasik Patel and Rajnikant Patel and Padmanabh Patel. From our modest beginning, today we are successfully catering to countries like USA, UK, Far East and European Countries. Today, the industry recognition gained by us is because of the R & D and stringent quality control maintained by us at each level of the operations. Further, the scaling up of operations has also helped us in handling production of acid dyes, bi-functional dyes, reactive dyes, direct dyes, salt free dyes, industrial chemicals, intermediates, pigments, basic dyes as per standards followed internationally. Presently, we are able to handle production to the tune of 50 tons per month. Further, we have also introduced new products in the market including Direct Black-38, Black-22 (Non Benzedene), Direct Blue-199 and Direct Blue-86 that is well accepted in markets of Europe, USA and Far East countries.